I have always admired the Hawaiian music culture from afar, and when I stumbled upon Imua Ukuleles at the Outlets of Maui, on Front Street in downtown Lahaina, I was drawn immediately in. 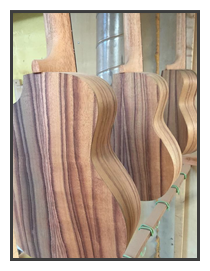 The ukuleles are beautiful and they are all handmade from locally milled woods, specializing in Hawaiian Koa Wood. They come in all manner of prices – and they even have waterproof Ukulele’s for the more adventurous who want to show off their musical talents while surfing! 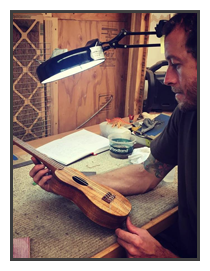 The wood that they use for their ukuleles also gets made into fabulous hand-crafted jewelry, and really cute pendants like the local legend the Green Sea Turtle or ‘Honu’. I actually bought a ring for my partner – an eternity band made of the Koa wood set into sterling silver. It’s one of the most beautiful and cherished gifts I’ve ever brought home from the Islands! The gentleman that assisted me was wonderful, and very knowledgable of the ukuleles, wood gifts and jewelry – but also Hawaiian culture in general. I mentioned that I had always wanted to learn to play the Ukulele and that I was familiar with the guitar, and he informed me that the store offers FREE lessons on Tuesdays… Needless to say I went back and had a great time learning the basics of the Ukulele with my new found friend! I walked away with a brand new Uke’ to call my own, an awesome hand-made wooden watch and an unforgettable experience. Imua Ukulele is an epic store showcasing the true grit of Hawaiian history and culture – music and Aloha combined! You can visit their Lahaina location online at MakaiWoods.com, or call for hours or directions at (808) 369-8045.